There is more to being a Scream Queen than simply being an "attractive damsel in distress", the character and the actress playing her had to do more than simply "look pretty and shriek a lot until the hero of the film got around to save (them)", "You not only have to be attractive, but you also have to have a big brain. You have to be frightened, you have to be sad, you have to be romantic." One of the most important characteristics of a true Scream Queen is that she had to seem "attainable for an average guy". A Scream Queen is concerned about something other than just the guy (unless, of course, the guy is the one trying to kill her), which makes the audience more sympathetic to her than if she were a princess or other unattainable goddess. 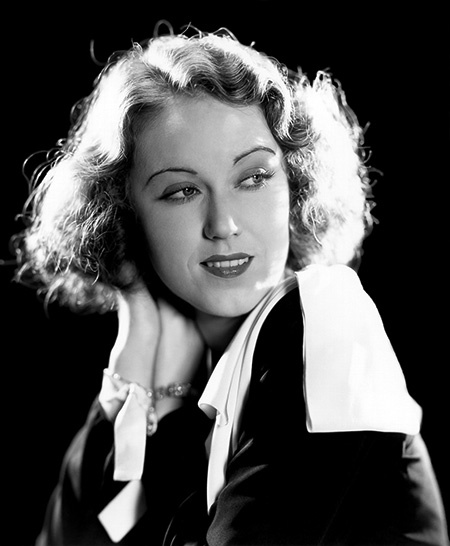 Vina Fay Wray was born near Alberta, Canada, in 1907. The family later moved to Salt Lake City and then to Hollywood in 1919, where Fay entered Hollywood High School. She began appearing in films by the time she was 16, and in 1926, the Western Association of Motion Picture Advertisers listed her among the "WAMPAS Baby Stars", a class of 13 women selected each year who were on the verge of stardom. She worked with Hal Roach Studios, Universal, and Paramount during the silent era, and had the female lead in The Wedding March (1928). She made the transition to talkies with Paramount in Pointed Heels (1929), an early color musical starring William Powell. After she left Paramount, Wray worked in several horror films for various studios before landing a contract with RKO Radio Pictures. Although RKO would eventually become one of the Big Five Studios of Hollywood's Golden Years, during the early years of the Great Depression the studio was struggling to produce a hit. In fact, even with David L. Selznick as production chief, the studio was in danger of going bankrupt. There was some hope that fortunes could be turned around using the popular "Jungle Picture" format, and producer/director Merian C. Cooper managed to get a green light for his fantasy of a giant gorilla who fights giant dinosaurs and eventually comes to the modern world, King Kong (1933). Originally, Cooper wanted Jean Harlow for King Kong's heroine, thinking that the pale blond would contrast nicely with the ape's dark fur. 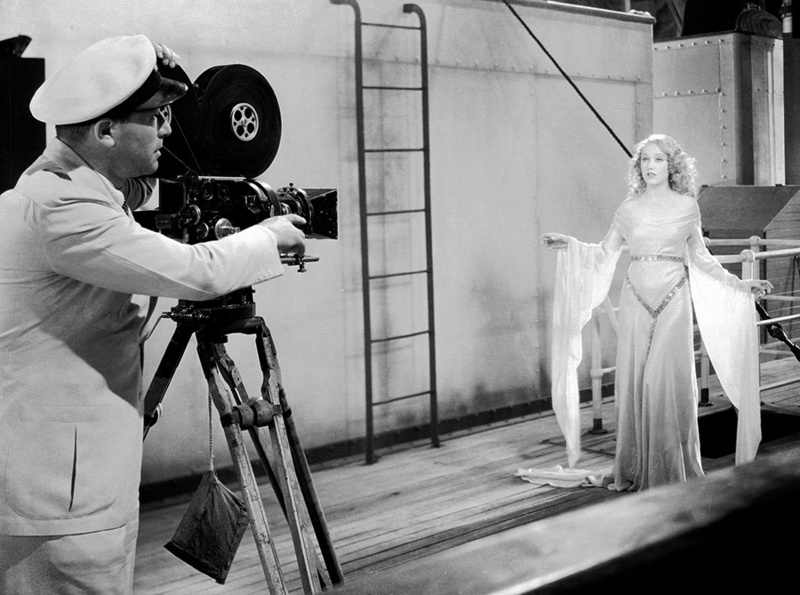 Harlow was under exclusive contract with MGM, so he convinced Fay to don a blond wig for the role. RKO was trying to get as much mileage from the huge jungle set built for Kong, so Cooper was assigned to shoot The Most Dangerous Game (1932, starring Joel McCrea and scheduled to be Wray's first picture with RKO) on the same set at night while King Kong was being filmed during the day. Cooper sold Fay on the concept by telling her that she would be working with the "tallest, darkest leading man in Hollywood". She thought he meant Clark Gable. Women screaming in terror had been a screen staple even during the silent era. What set Wray's performance as Scream Queen apart was the way the audience was taken in and became a part of her terror. Fay reported that she took a good deal of pride in the fact that King Kong saved RKO from bankruptcy. However, after Kong, Wray was cast in a series of less important films. She retired from motion pictures after her second marriage in 1942, although she made occasional appearances out of financial necessity. She starred in the 1953 ABC sitcom The Pride of the Family and made several TV guest appearances. She was approached by James Cameron to play the role of Rose Dawson Calvert in the 1997 blockbuster Titanic but turned the role down. The part went to Gloria Stuart, who became the oldest nominee for Best Supporting Actress for the role. Peter Jackson approached her to make a cameo appearance in his remake of King Kong (2005), but she politely declined, stating that the original Kong was still King. Before shooting began on the remake, Fay Wray died in her sleep from natural causes on August 8, 2004. She was 96. A Star on the Hollywood Walk of Fame at 6349 Hollywood Blvd was dedicated to honor Fay Wray's contributions to Motion Pictures. Two days after her death, the lights of the Empire State Building were dimmed for 15 minutes in her honor. I didn't realize the screen siren Fay Wray (my childhood crush who was most noted for playing Ann Darrow in King Kong) also appeared in radio!